This iconic necklace known as "Galactic Peaks" was designed by Bjorn Weckstrom for Lapponia the Finnish jewellery company. 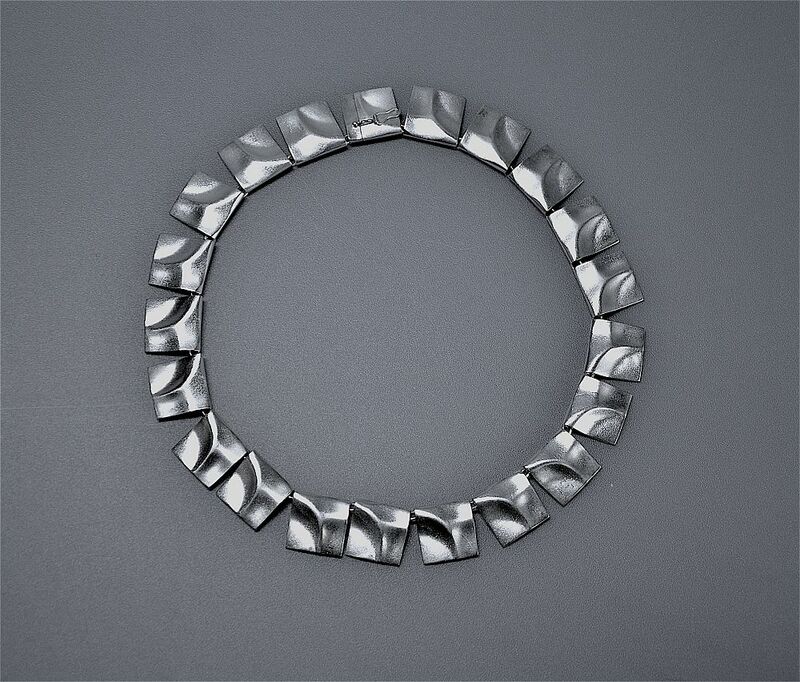 It comprises 21 articulated square links of folded and brushed silver, each link joined by a round link giving fluidity of movement. The fastener is hallmarked on the reverse with Lapponia's trident sponsor's mark and for 1988. It is also stamped "Lapponia".